Judge finds claim by Randy California’s estate was not frivolous. 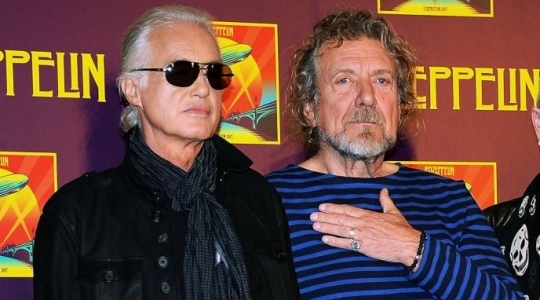 LOS ANGELES — Led Zeppelin may have won the copyright war over its creation of “Stairway to Heaven,” but it lost its battle Monday to recoup nearly $800,000 in defense fees. Judge R. Gary Klausner ruled that the band’s songwriters, record label and associated companies were not entitled to legal fees and other costs because the copyright lawsuit against them was not frivolous. A Los Angeles federal jury in June found that guitarist Jimmy Page and singer Robert Plant did not lift the introduction of “Stairway” from an obscure instrumental written by the late Randy Wolfe, founder of the band Spirit. The trust for Wolfe, better known as Randy California, claimed Page and Plant were familiar with his work and stole a riff from the short tune “Taurus” that repeats throughout the first two minutes of their 1971 classic rock anthem. Attorneys for Led Zeppelin sought legal and other fees totaling $793,000 after insurance companies rejected covering such an old claim. They argued the lawsuit was frivolous, it was intended to shake down the rock stars for money and that awarding defense costs would deter future meritless copyright claims. While Led Zeppelin demonstrated a need for compensation after winning and showed that the plaintiff’s attorney behaved badly, Klausner said it was at his discretion whether to award fees. He said the scales tilted more in favor of Wolfe’s trustee. The judge, however, had strong words for plaintiff’s attorney Francis Malofiy, who is currently serving a three-month suspension for serious misconduct in a copyright case over Usher’s “Bad Girl.” A Philadelphia appeals court recently upheld the sanction for ethics violations in that case. In the Led Zeppelin case, Klausner reprimanded Malofiy for some of his antics and frequently blocked his questions because of objections by Led Zeppelin lawyers. “Throughout the course of litigation, plaintiff’s counsel demonstrated a tenuous grasp of legal ethics and a rudimentary understanding of courtroom decorum,” Klausner wrote. Malofiy has appealed the jury’s verdict.